Exclusively at Garrett Wade, these Vintage Swiss Army Axes ($40-$50) makes a great gift for yourself or any collector on your list. Combining excellent craftsmanship and design, these Swiss-made Axes are built tough to equally meet demands as a wilderness or emergency tool. 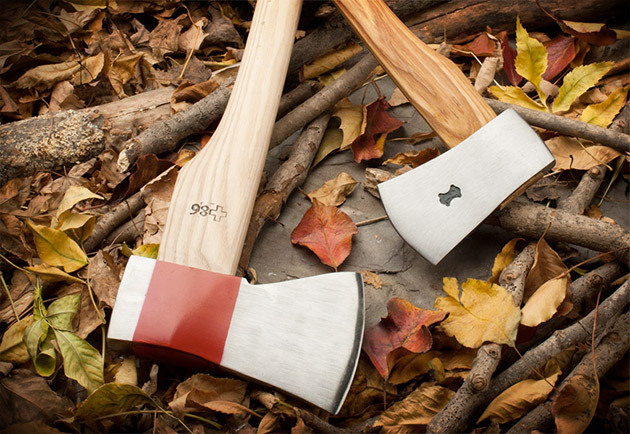 Both Chopping Axe and Camping Axe feature hardened steel blades with sharp edges, solid wood handles and reinforced neck for greater swinging power.